Blissful days of rest and lazy drifting at Mount Carleton Provincial Park have left me grateful for those who dream. In 1883, Edward Jack, a provincial surveyor, dreamed of preserving a piece of the Appalachian Mountain Range to commemorate the 100th anniversary of the Loyalist landing in New Brunswick. His vision only became reality in 1970 when Crown Land was set aside to create Mount Carleton Provincial Park, forever protecting the majesty of these mountains and chains of pristine lakes for the enjoyment of those who appreciate wilderness. The park, located in the interior of the province, distanced from main urban centres, is a well-kept secret. It is surely a place of drifting and dreaming. 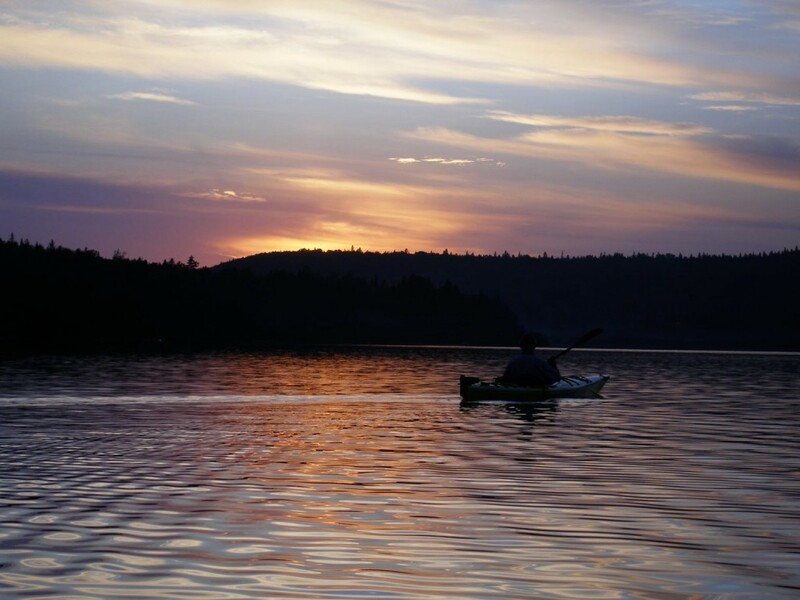 Evening paddles on silent lakes of sky and cloud, morning mist drifting through valleys, mountain hikes through endless forests and meanderings along mossy brooks and waterfalls…such are the gifts of Mount Carleton. 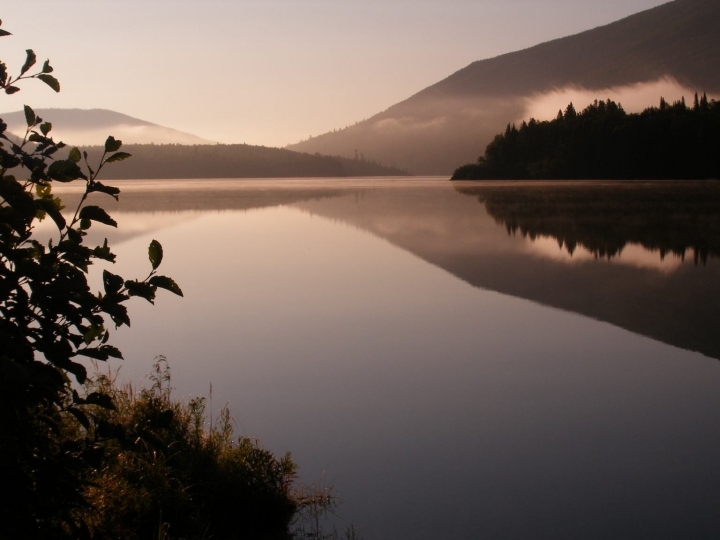 In my mind, I can still see fish leaping from polished ebony, the darting swoop of a pair of kingfishers, a trio of moose feeding at water’s edge, the watchful curiosity of a quartet of loons, and a sunrise that transformed the dark haunting presence of Sagamook Mountain to the warmth of a blush. 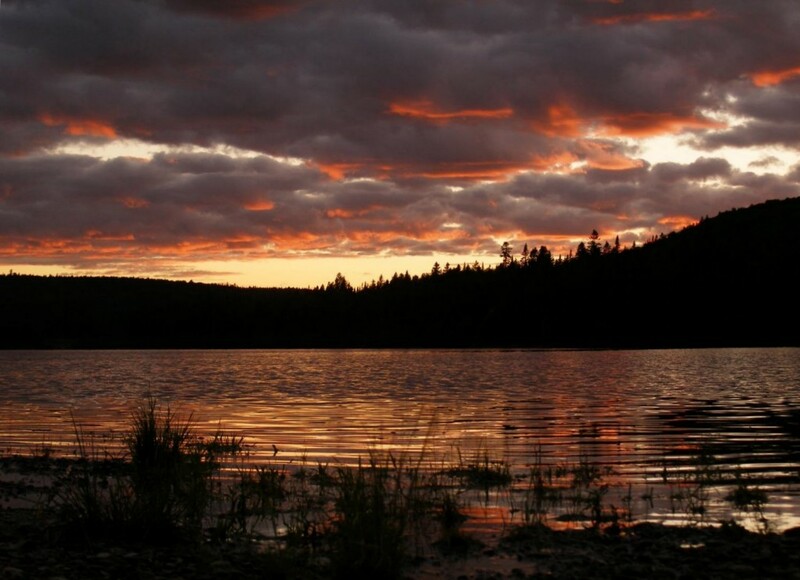 This is traditional Maliseet territory, valued both as a travel route, and a hunting ground. Slow, watchful wanderings through dappled forests, the magnificence of the sun’s rise and sun’s falling, and the silence of night broken only by a loon’s haunting echo across the water or coyotes calling the moon – these invoked such tranquility of spirit that I felt bereft with our leaving. Such is why we need time in wild spaces. As my kayak slid through a sunset reflected in Bathurst Lake, the space of silence broken only by a distant chatter of a squirrel, I couldn’t help but feel deep, abiding gratitude that someone, somewhere, long before my birth, dreamed of saving this wild place.